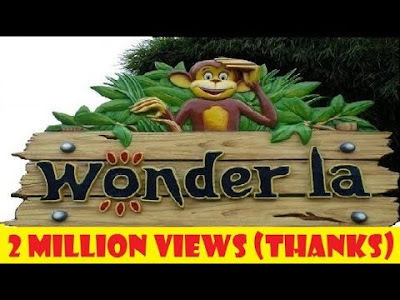 ICICI Direct is bullish on Wonderla Holidays has recommended buy rating on the stock with a target price of Rs 330 in its research report dated January 29, 2019. Wonderla Holidays’ results were above our estimates due to better footfall growth at Bengaluru (up 23% YoY) and Hyderabad park (up 12% YoY). While footfalls at Kochi park fell 1% YoY due to flood impact, footfall and revenue growth recorded a positive trend in December 2018. Total footfalls for the quarter were up 11% YoY to 7.6 lakh While revenues rose 19.1% YoY to Rs 76 crore, EBITDA increased 56.2% YoY to Rs 29.8 crore (vs. I-direct estimate: Rs 22 crore) led by healthy realisation (up 8.7% YoY to Rs 959.5/person). EBITDA margin expanded 929 bps to 39.1% YoY (vs. I-direct estimate: 30.8%). Average ticket revenue per visitor at Bangalore, Hyderabad parks was positively impacted by a shift in Dussehra festival from September last year to October this year Net profit during the quarter increased 122% YoY to Rs 14.5 crore mainly led by higher operating margins. After being impacted by higher tax incidence and exceptional events like floods, outbreak of virus, we expect footfall growth to return to the normal growth trajectory as visible in Q3FY19. Introduction of new rides at Hyderabad and new park (land acquired in Chennai) will also keep the momentum healthy. Further, tight control over cost provides levers to improve margins, going ahead. Accordingly, we arrive at a DCF based target price of Rs 330/share (i.e. @ implied value of 15x FY20E EV/EBITDA).